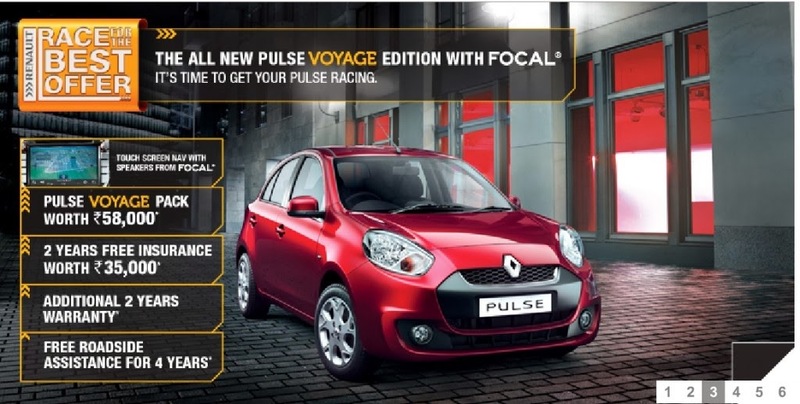 Renault India has launched a special edition of its Pulse model called as Voyage edition. The changes that Renault Voyage edition features are only in the form of interiors with literally zilch / no changes in the exteriors of the car which means do not expect any new alloy wheels, graphics etc. On the interiors, you get a touchscreen multimedia system along with the navigation system and speaked from FOCAL. The French carmaker claims that the total VOYAGE package amounts to INR 58,000. The company is alson giving free insurance for two years, a two year extended warranty, and roadside assistance for four years with this special edition. No other changes in the car even mechanically. It carries the same 3 cylinder 1.2L Petrol engine and 4 cylinder 1.5L Diesel engine.